We are proud of the fact that our school cafeterias consistently achieve high health inspection scores. This reflects the School Nutrition Program's mission to provide quality, nutritious food choices in a nurturing, caring and clean environment. Did you know that health scores are based not only on the kitchen area, but also on common areas like the dining area and dumpsters as well? These common areas are not maintained by the SNP staff, but by our school's fine custodians. 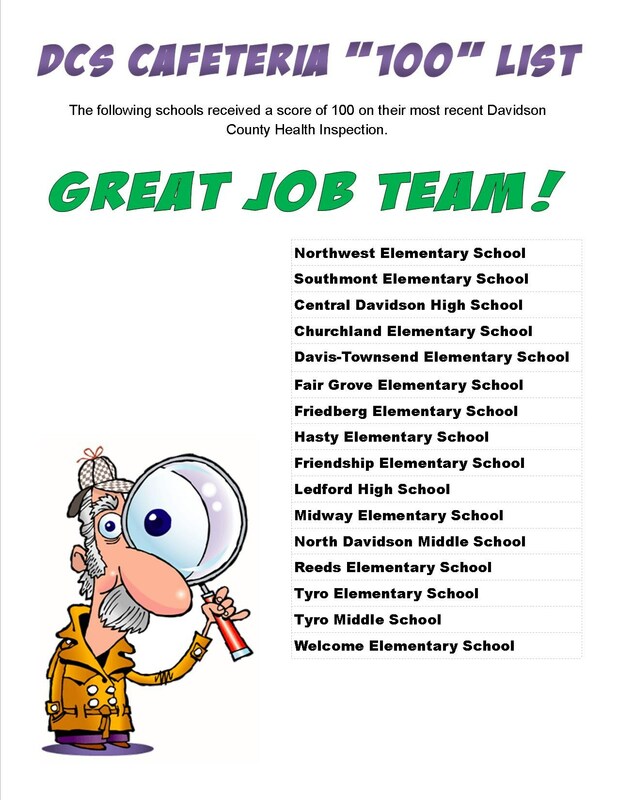 The SNP department would like to thank the Custodial department for their help in keeping our health scores high.